I finally finished this rug yesterday morning, after I first bought this yarn in July 2009! So that’s 2 and a half years from start to finish, a very long term project indeed! For this I used my 5mm hook, a bigger hook makes the rug go faster and for this one it needed all the help it could get. This is the largest rug I’ve done and it doesn’t even cover my queen sized bed! It’s only slightly larger than my other ‘therapy rug‘. I don’t think I’ll be doing many of these, they are kinda boring. I just did a bit when watching TV. I find smaller projects that finish quicker much more satisfying. Also, considering there is almost $20 worth of acrylic yarn in this rug I’m thinking it’s not really worth it. You can pick up a nice cotton blanket for less and it’s larger, you can also get polar fleece blankets for less and I think they’re warmer. So, not many more of these rugs from me! The pattern is a simple granny square, with 3 rows of dc at the end. The corner has an extra 7 dc in it. I’m not sure where this rug is going, maybe on the single guest bed as it’s too small for the big bed. I’m just so glad it’s finished! 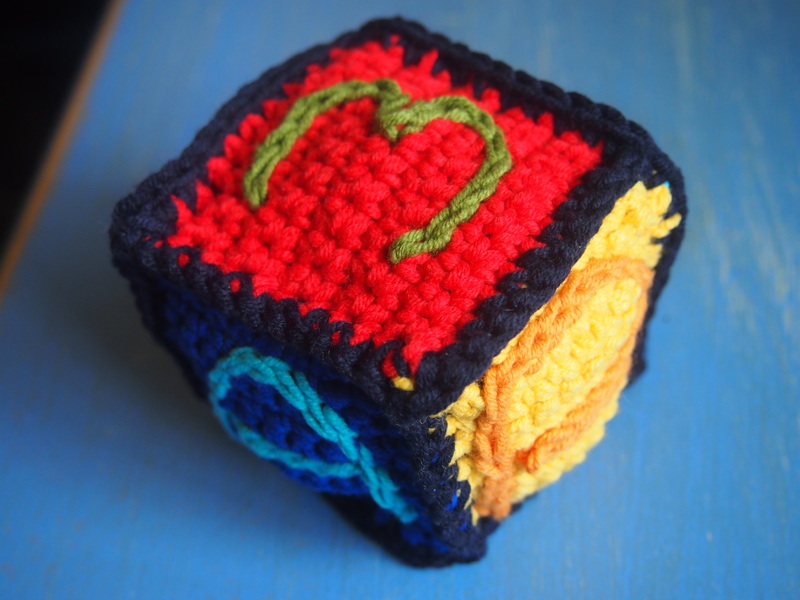 >>> I first saw an apple sweater at Crochetspot and thought it was a fabulous idea. An apple is a great snack, but doesn’t go very well in my handbag and always ends up getting bruised, but the sweater would protect it from that. More images of apple sweaters on google show different styles. I turned one of my baby beanies into an apple sweater by simply crochet a chain to go around the edge and sl st to join. This second one I made as an apple sweater from the start. It’s my own pattern, it’s like a baby beanie but with a chain threaded through the lip and sl st to join a ring. I used a 5mm hook and some more of the pink and blue mohair I had used for the hot water bottle cover. It now lives in our fruit bowl, waiting to be used! <<< This aqua coloured flower dishcloth is a pattern I made up, turning over after every row to work in a ridge. The 5th round is some 5 treble flower petals. 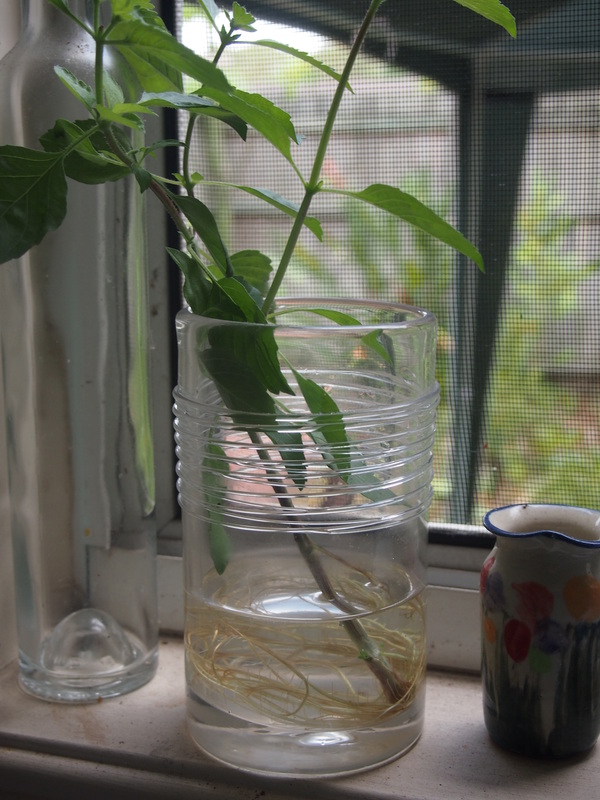 I ran out of cotton just at the end, so the last petal is 5 ch to form a handy hanging hook. For this one I used a 4mm hook and the last of the aqua cotton my mum gave me. >>> I saw a lacey crochet square motif on a crochet blog, and I really liked it so I tried copying it. I didn’t follow a pattern, I just tried to replicate the image. I used my 1.75mm hook and some fine lilac cotton mum gave me. When I was finished this tiny square I wet it and blocked it as it wasn’t quite flat. 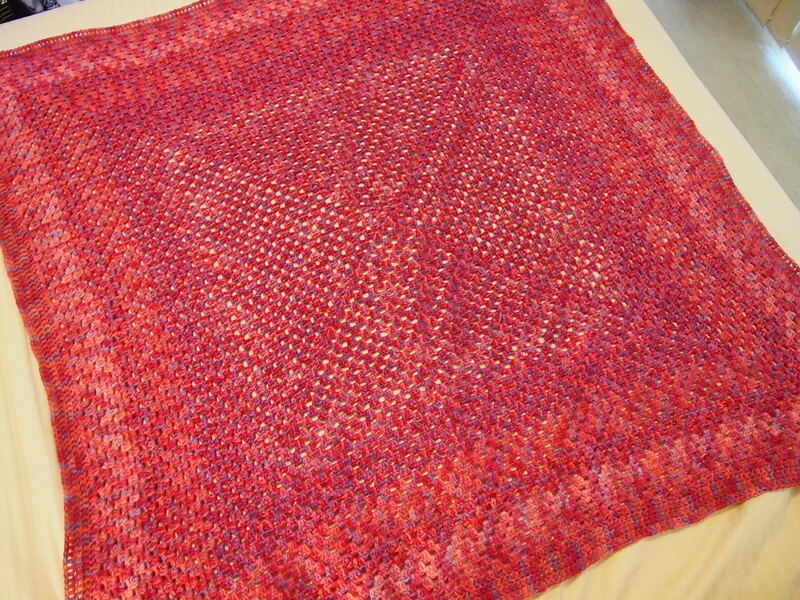 I’m not sure where this square will live, perhaps it can be a dolly’s blanket. 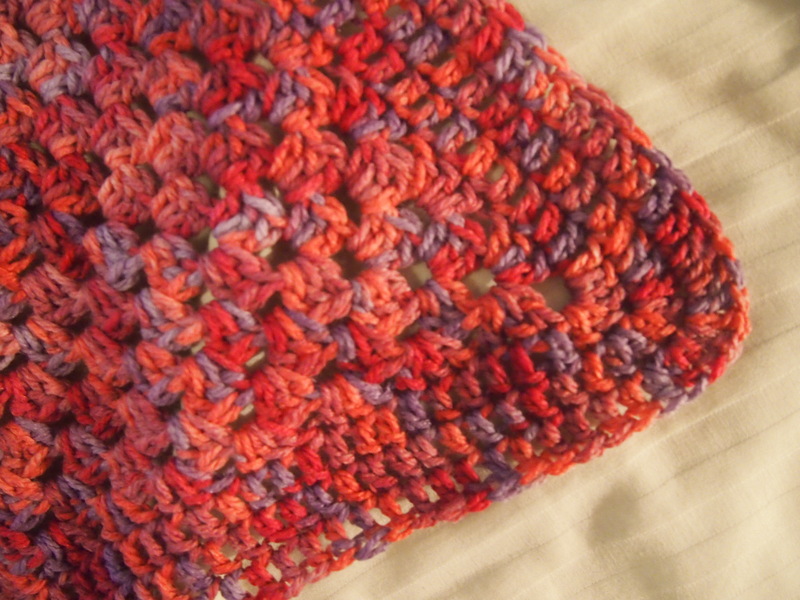 >>> Here is a face cloth that I edged last night, I simply did one round of double crochet (US sc). This cloth came in a gift pack from the hospital where Tom is staying and it was perfect for a quick edge treatment! I nearly did the edge in blue but decided that would be too boring so did it in a contrasting green instead! The single row looks less frilly I think, so will go well in our growing stash of baby boy goodies. I vowed years ago never to edge face washers with crochet but I succumb to the urge this year while teaching myself crochet. So far I’ve edged a pair of white with purple, and a pair of pink with pink! <<< I whipped up this variation of Suzetta’s small heart earlier this month. This one has a second round so you can have two colours like I have here. For this one I used my 1.75mm hook. I think this is my favourite heart pattern, thankyou Suzie! I first had a go at this pattern back in January when I was teaching myself how to read crochet patterns, and I’ve come back to this pattern several times so far. >>> Here is a small ridged green cotton dishcloth that I did up earlier this month using a 4mm hook and the last of the cotton in this colour. I now have two dish cloths this colour, the other green dishcloth I made up last month. The ridged stitch is at crochetspot. <<< I don’t really understand why I woke one morning thinking I needed to make a soap saver for the laundry soap, but I did! I don’t usually use these things, but the soap I have in the laundry at the moment was a gift and really needed one as it was making a mess. I didn’t follow a pattern as it’s a pretty basic shape, but I did look at crochetspot and google for some inspiration, and used my thick cotton and a 4mm hook. 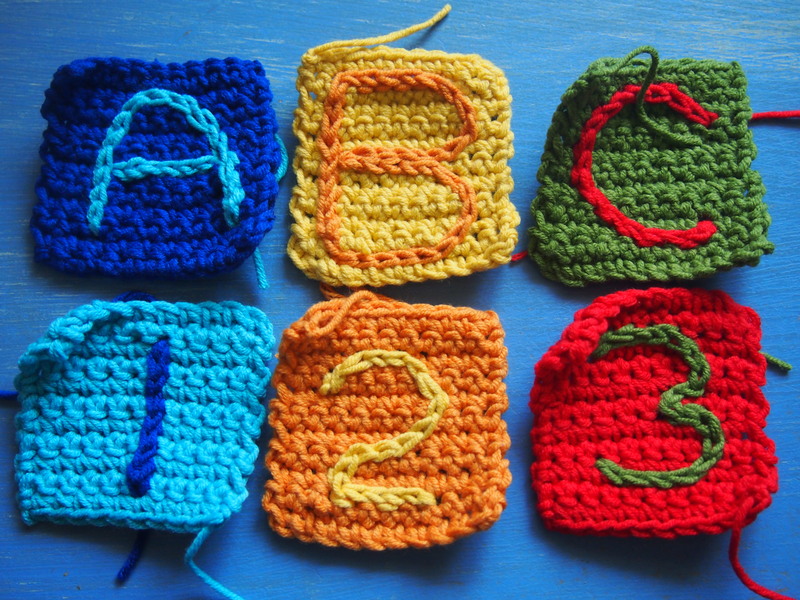 I got the idea of continuing the first round all the way round the bottom of the first row from the free pattern at crochetspot, there are also pictures and patterns of other soap savers there. I’ve tested it out, so far so good. The plan is, when you get the little shards of soap left over at the end you keep them in the bag so you don’t waste them. Very thrifty, I like it! >>> I have been working on a spiral dishcloth using the same aqua cotton as my first cotton dishcloth, but I’m not happy with it so it’s currently in my pile of unfinished projects. I bought some ‘amalfi’ yarn from Lincraft for $4, which is 100% cotton. I think the choice of colours look ‘dishclothy’, if there is such a thing, so chose the aqua greenish one. This time I made a bigger version of the basketweave dishcloth, as David asked for a bigger one. This used most of the 50g ball, there isn’t enough left to make another one this size. Consolation is that this cloth can be washed and reused for quite a while, so I can get my money and effort’s worth out of it. This didn’t take long to do, I used a new bamboo 3.5mm I thought to try for fun. I found working with the bamboo hook that it stuck a little, and is not as smooth as using a metal one. The final product measures 22cm x 18cm. <<< I tried this square motif, I’m thinking of using it to make some baby play cubes. This coaster pattern is at crochetspot. Here are some more motifs I made using patterns in Jan Eaton’s ‘crochet basics’ book that I borrowed from the library and had to return last week. It such a good book, I might have to borrow it again! It’s time to return my library book as I’ve had it for nearly 2 months! I’ve got some fun ideas from it, here are some more. These three motives, which I’ve done here in navy blue craft yarn, are all from patterns on page 60 of ‘crochet basics’ by Jan Eaton. These three will go in my bag of samples. I’m thinking that when I have enough, I’ll stitch them all together to make a mish-mash rug of all different shapes and colours.